After a period of intensive study and research, Hans Coolsma, founder of the Dutch Recordercenter, started to build in 1951 the first range of AURA -"Study" recorders. In 1955 Coolsma developed the AURA-"Conservatorium"-model, an instrument for the more advanced player. Both models were received enthusiastically and the Coolsma workshop quickly progressed. 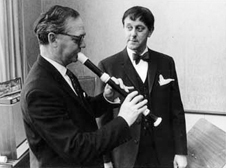 In 1961 he built the first Hans Coolsma-Solo Recorders. These high-quality instruments are used worldwide by good amateur and professional players. 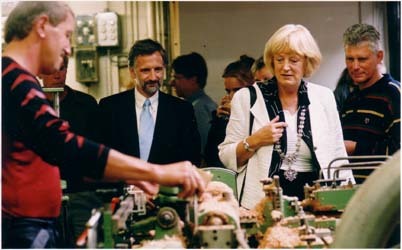 Shortly before his death Coolsma handed over to AAFAB his workshop including the highly trained production co-workers. Since then the recorder program has been enlarged with instruments from other makers such as Dolmetsch, Moeck, Zamir, Paetzold and Yoav Ran. In our Utrecht showroom in the Jeremiestraat you can select from a wide selection of quality instruments in quiet surroundings.